Redoing your house or helping your kids with their projects – there are a lot of ways to get paint on yourself. Even if you wear old clothes, getting paint on some part of your skin is almost a given. So it starts – the stubborn stains of paint, against your desperate efforts to get it off your skin. Skin is a living, breathing organ. Nothing can adhere to skin permanently, so rest assured that the stains will fade over time. But if you want them gone fast, you need to employ some common cleanup tactics. Before you start, you need to know what type of paint you’re dealing with – water-based or oil-based. Water-based paints generally include watercolors or tempera, finger or acrylic paints. Artist’s oil paints, exterior paints or varnish come under oil-based paints. Water-based paints are usually easier to deal with than oil-based, but there may be exceptions. 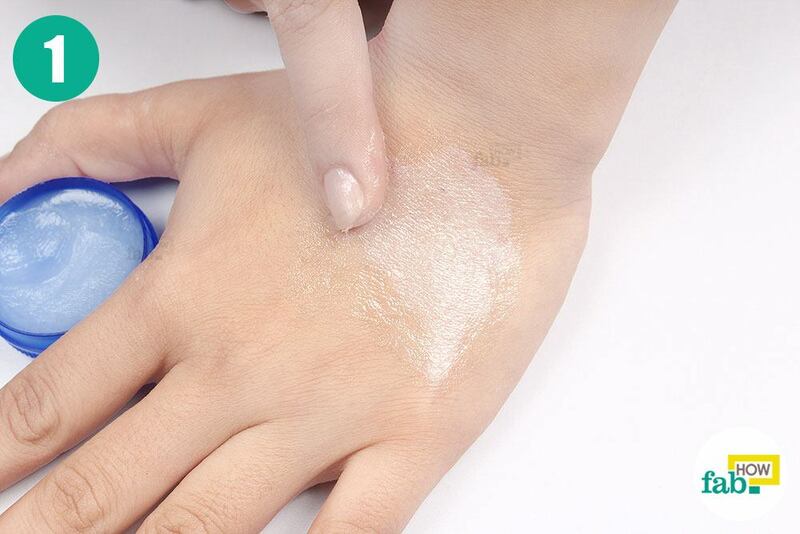 Try and use a method that suits the type of paint you need to clean off your skin. 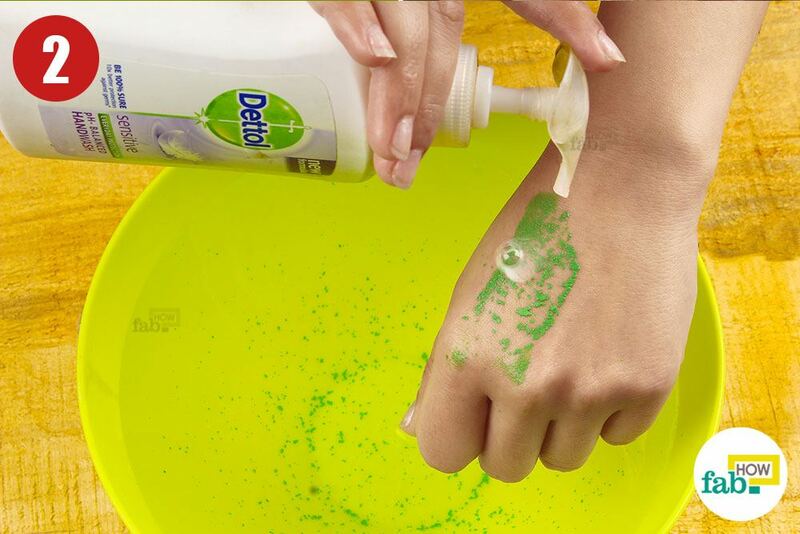 Have patience while removing the paint so that you don’t harm your skin. 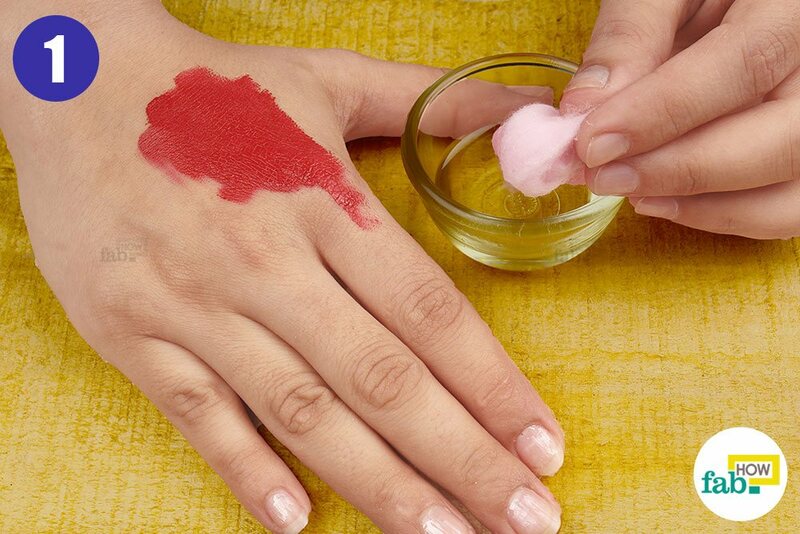 Here are two methods to remove water-based paints and seven methods to remove oil-based paints from skin. Soak the painted skin in a water-filled bowl or basin. Water-based paints generally loosen when soaked in water. 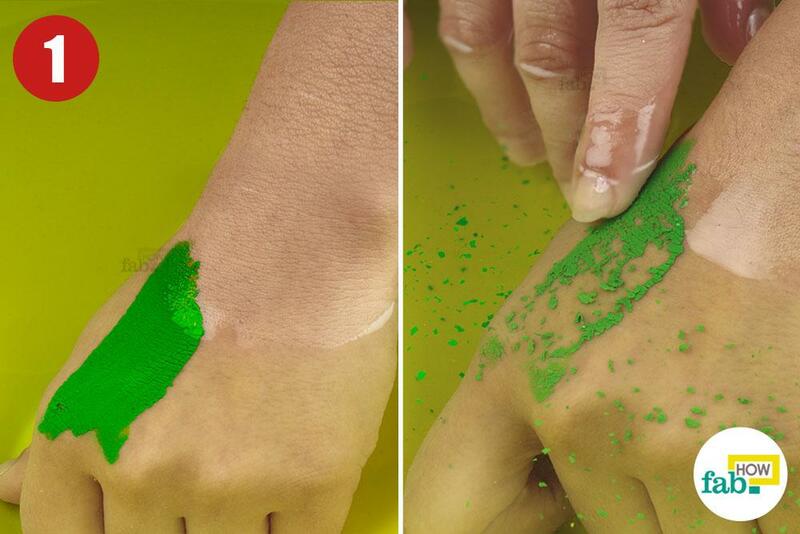 Remove as much paint with your fingers as you can easily. Squirt a couple drops of liquid hand soap onto the affected area. Gently rub the soap around on the skin, dipping it in water as needed. This should remove the rest of the paint from your skin. Rinse the paint and soap off your skin with water. 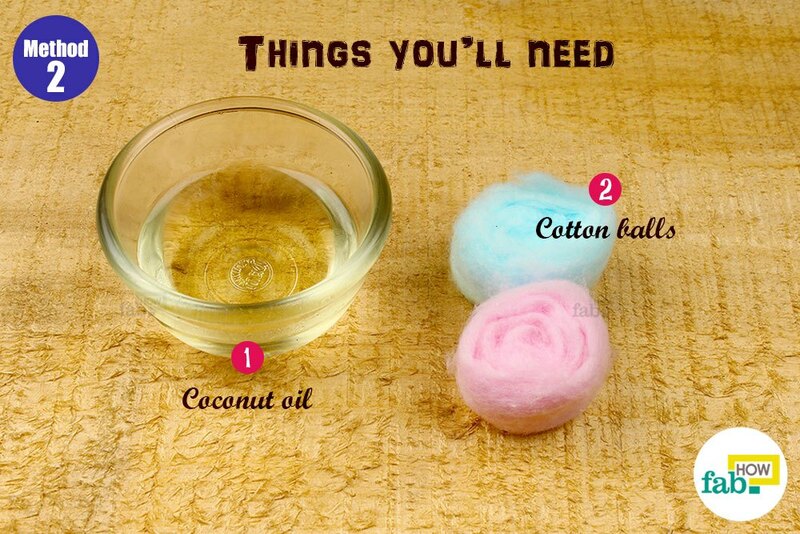 Soak a clean cotton ball in some coconut oil. You may also use some other oil, such as olive or baby oil. 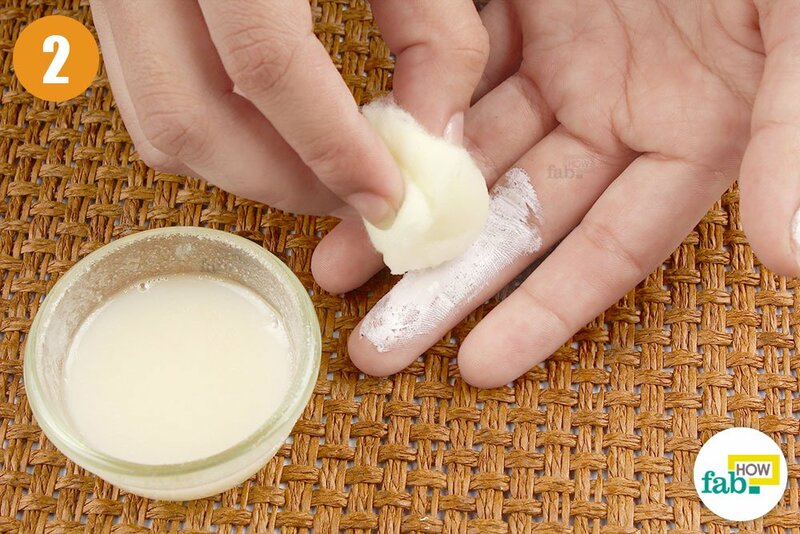 Rub the painted skin gently with the oil-soaked cotton ball. Work in gentle circles. After sometime, the paint should start coming off easily. 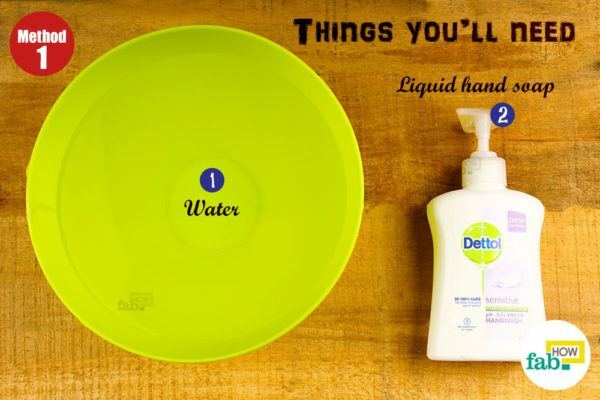 Dip your hands in a large bowl or a basin filled with water. Working your hands over the painted area, wash off as much paint as you can easily. For hard-to-reach areas, you may hop into a shower or just use running water. 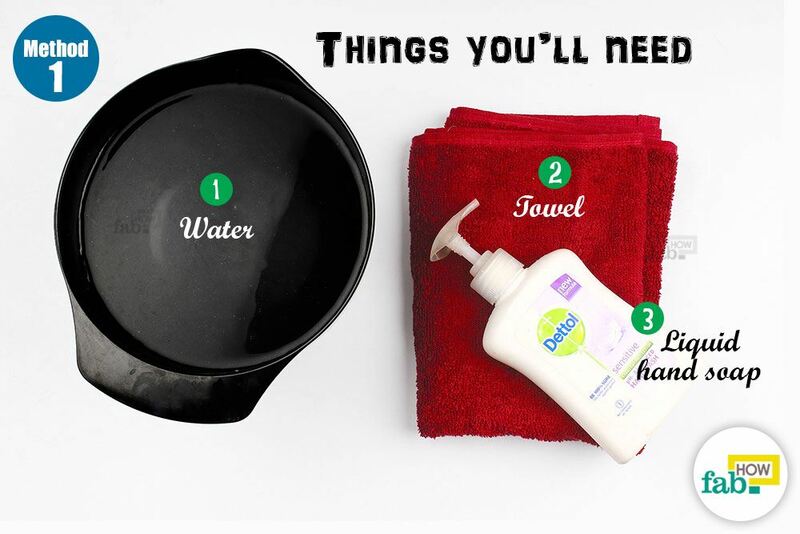 However, a small basin or a water bowl will help you conserve water. 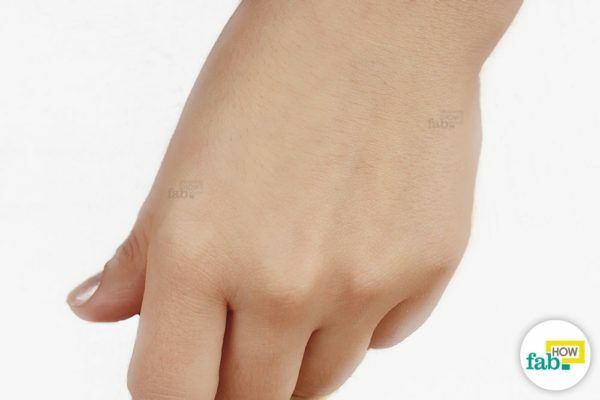 After cleaning your hands in the stored water, you can give them a final rinse under a faucet. Squirt some liquid hand soap over the affected area. Liquid soap is a better option than bar soap as it minimizes the mess. Work the hand soap into a lather and rub the painted area with your hands. Mild paints can be easily cleaned with a little soap and water. Rinse the soap off your skin with water. Wipe your hands dry on a towel. 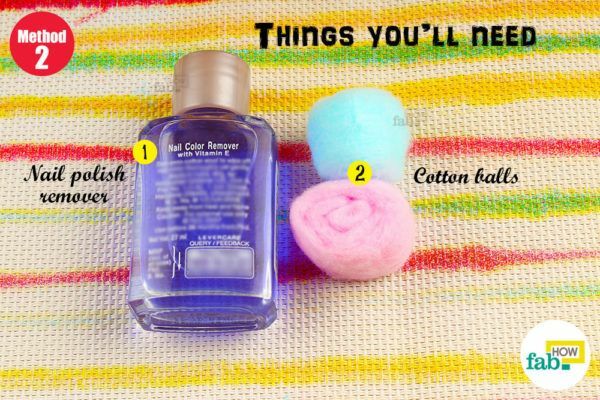 Soak a clean cotton ball liberally with some nail polish remover. 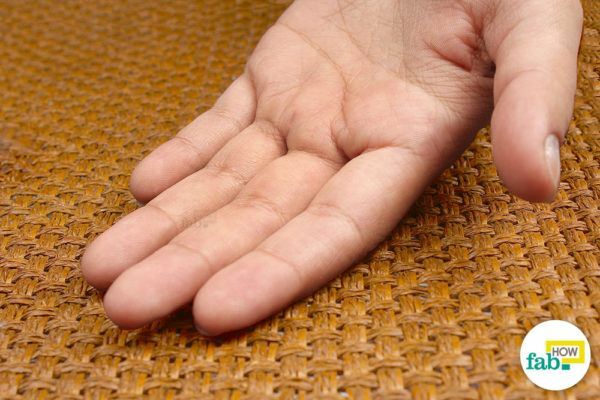 Be sure that you use an acetone-based remover. While nail polish remover works great at removing a variety of stains, acetone-free polish remover doesn’t work the same way. Work the soaked cotton ball over the painted area. 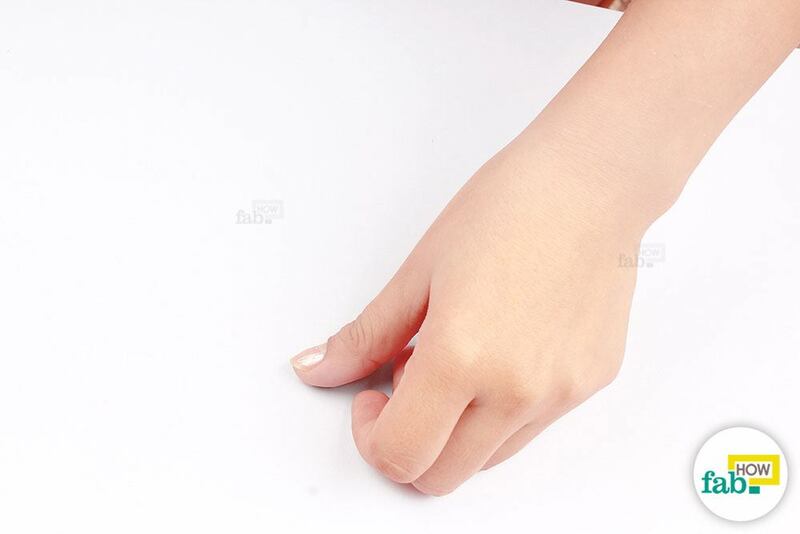 You may notice that the paint starts liquidizing again and eventually comes off the skin easily. You may need more than one soaked cotton balls depending on the size of the paint stain. 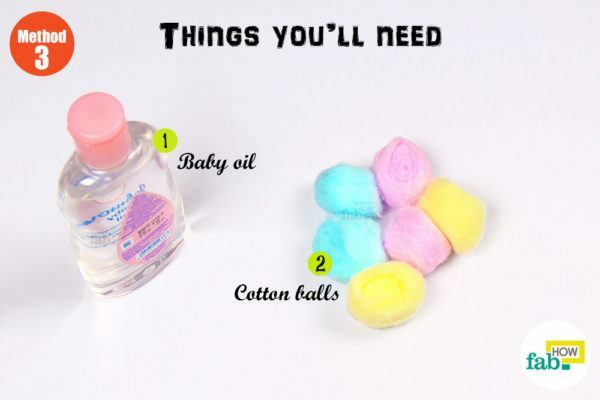 Squirt a little baby oil over a fresh cotton ball. Baby oil is effective at dissolving oil-based paints. It helps loosen the paint from the skin, resulting in effective paint removal. 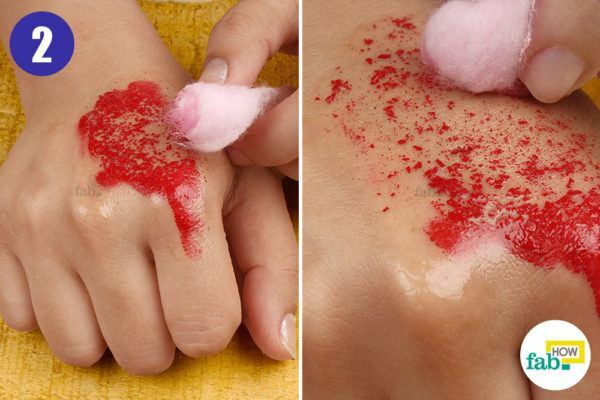 Rub the soaked cotton ball gently over the painted area. Work in gentle circles. Applying any undue force can make your skin sensitive. 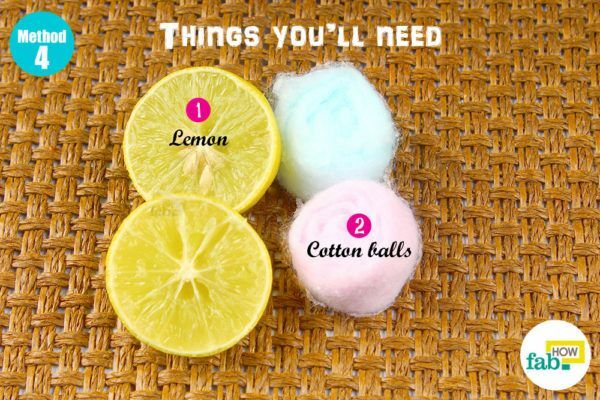 Cut a lemon in half or make use of any leftover lemon wedges in your kitchen. 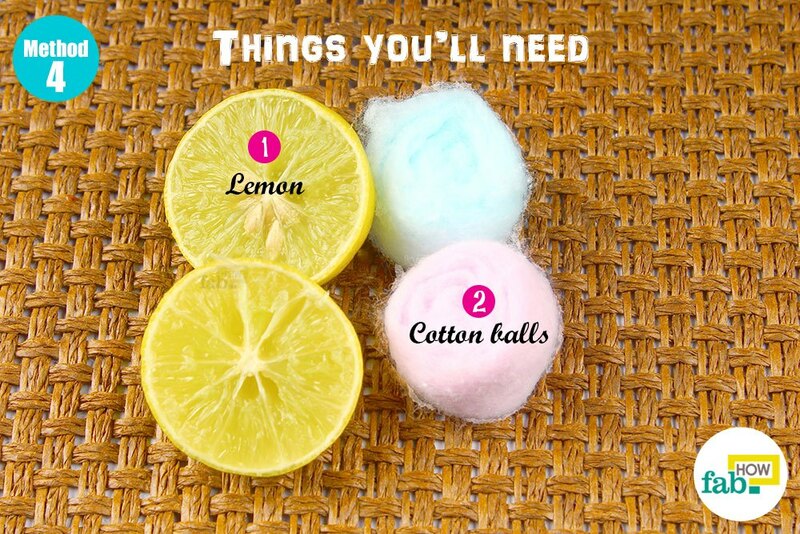 Give the lemon a little squeeze to release some juice. Rub the lemon over the painted patch. The natural acidity of lemon easily cuts through the paint without much ado. Once your skin is squeaky clean, wipe the mess off with a fresh cotton ball. This will also help you see if you missed any spots. Alternatively, rinse the area with water to clean up the mess. 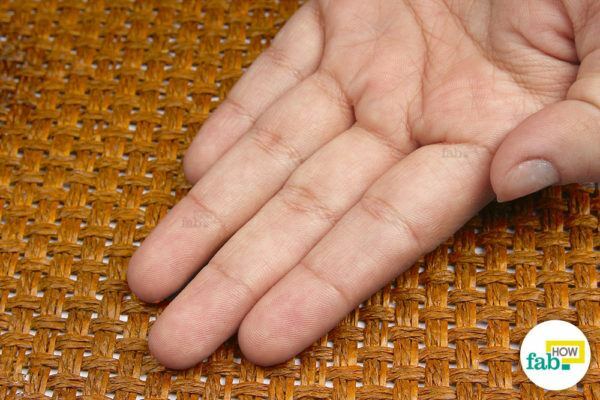 Using your finger, apply some Vicks VapoRub over the stained patch on your skin. Massage the white goo over the affected area. 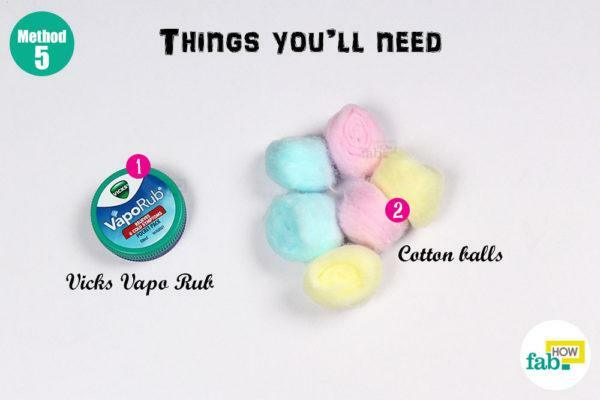 Vicks VapoRub contains a minimal quantity of turpentine oil, which works to loosen up the paint from the skin. 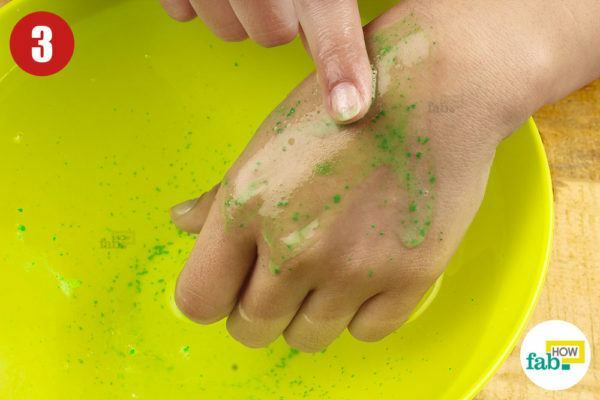 When you see that the paint has let go of your skin, lift the gooey mess off your skin with a clean cotton ball. Wipe your skin clean with cotton balls. Additionally, you may want to wash your hands to get rid of the smell. 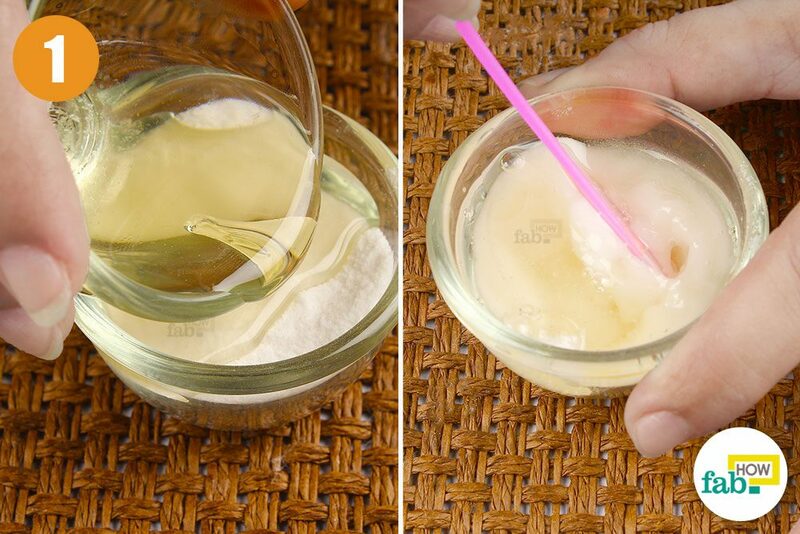 Mix some coconut oil in baking soda to make an easily spreadable paste. The quantity of the paste will depend on the area to be cleaned. 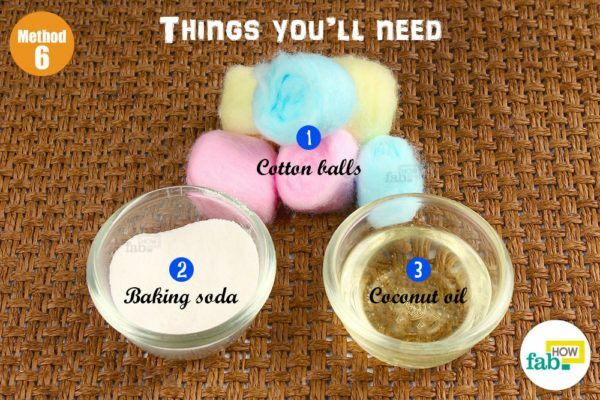 Baking soda and coconut oil make a natural scrub that works very well as an exfoliator. Similarly, it gently removes any paint from skin. Apply the scrub over the painted area with a cotton ball. Let it sit for about 1 minute. 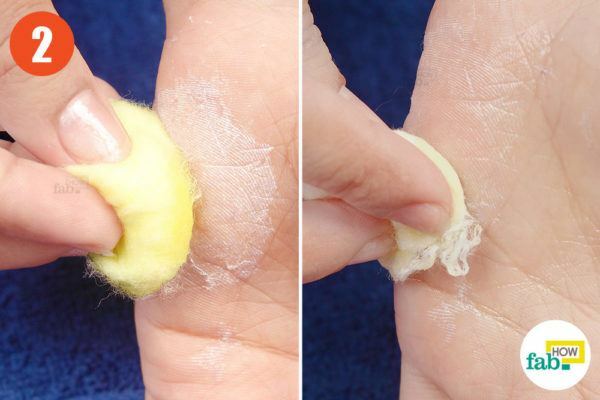 Use a cotton ball to gently scrub the skin. 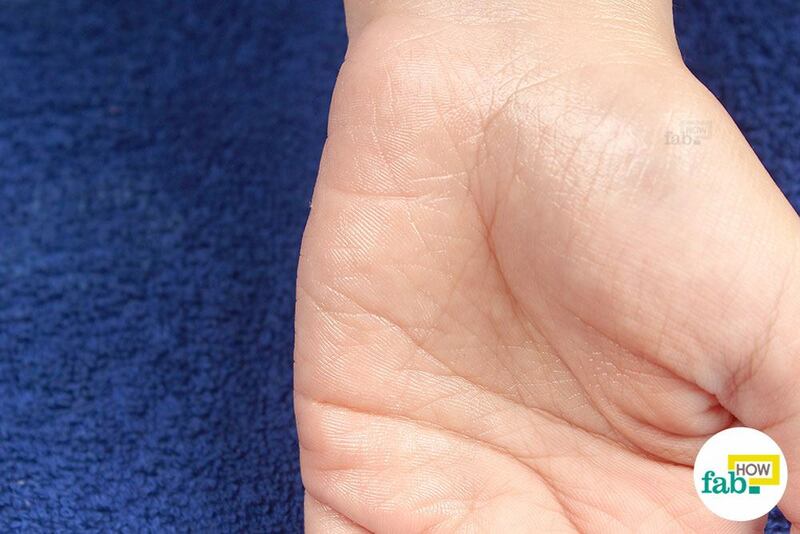 The paint easily comes off after using the paste on the skin. Wipe the mess clean with a fresh cotton ball. Skin usually becomes sensitive while working to remove paint from it. Moisturize your skin afterwards and care for it for a couple of days. Never go harsh with your skin. If the paint is too stubborn, you’ll only harm your skin with your persistent efforts. Give it a rest. Try again after a couple of hours or a day. Get to cleaning immediately. The fresher the paint, the easier it will be to remove. Paint removal can get messy. Prepare your workstation or do it in a place you can easily clean later.